It’s become one of the most talked about moments since Season 6 of AMC’s “The Walking Dead” began – Did fan favorite survivor character Glenn Rhee really perish amidst a horde of walkers in the third episode of the season entitled “Thank You“? That seemed to be the case when the final act of the film saw him and his “frenemy” Nicholas got cornered in an alley, with nothing but a dumpster behind them and a huge fence separating two huge waves of zombies just itching for their flesh. 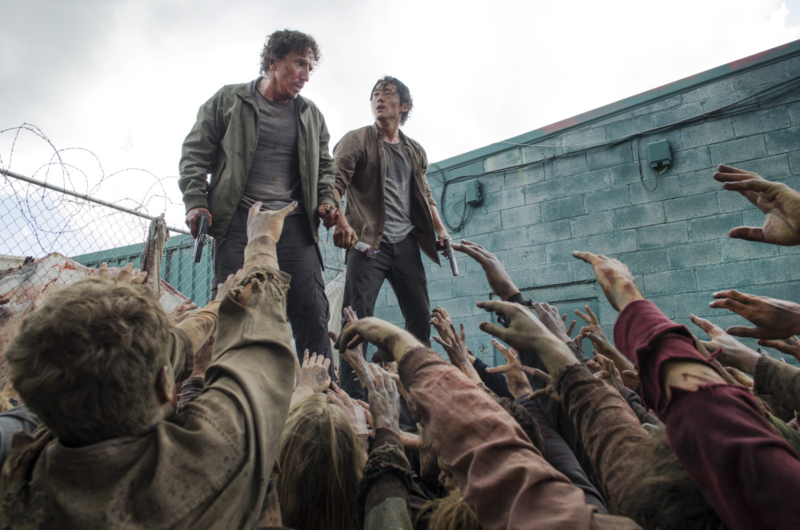 Now before we head to the big SPOILER for this week’s seventh episode called “Heads Up” which finally addresses the aftermath of that sad event where Nicholas committed suicide and let his falling corpse push Glenn into that pile of Walkers, let it be known that the show has relentlessly churned up hundreds upon hundreds of zombies and surprising moments this time around, and also remains steadfast to the fact that “No One Is Safe” in the world that Rick Grimes and his group reside in. We had a couple of episodes already where everyone was pretty much dealing with their own troubles and accepting that the situation was pretty grim to handle… So what more could the poor heart take when it comes to seeing what remains of our favorite former pizza delivery boy and Maggie’s husband? Here’s the introductory sequence video of Episode 7 online to show the aftermath! 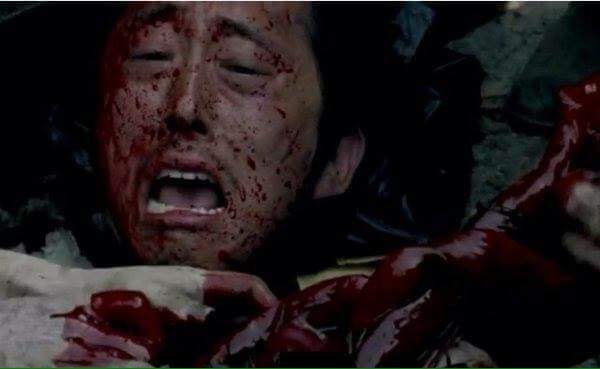 And just as those keen eyed observers guessed and noticed, GLENN IS ALIVE thanks to Nicholas’ dead body being zombie food and shielding him enough to crawl under the dumpster and remain there for HOURS. He then gets reunited with the runaway Enid, and from there his adventures continue… For now at least. 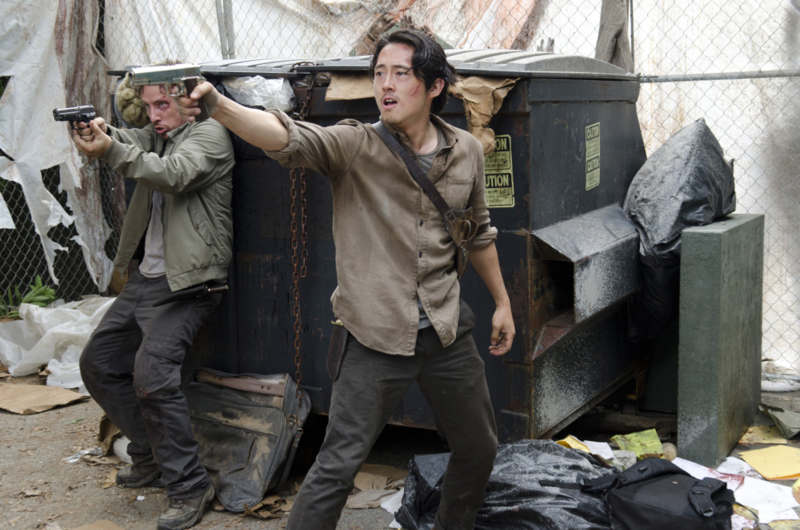 The Walking Dead airs every Sundays on AMC and on international channels like FOX on their respective schedules. Next articleBoardgame Review: MYSTERIUM – Does this Halloween whodunit deliver?